Next post: What’s Your Favorite App? Ever wonder what your core needs are when involved in a relationship? What truly works to keep you happy with your significant other? I would have never thought of taking this test, until it was pointed out by a friend that I should try it, so I can see what I crave or what my needs are in a romantic relationship. 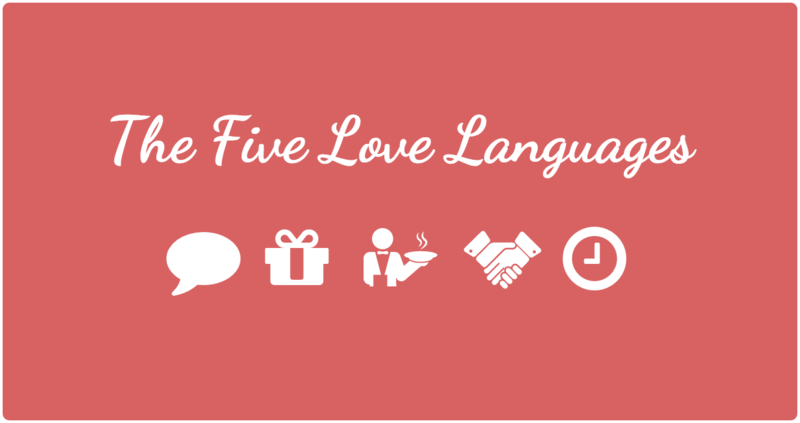 The test is called The 5 Love Languages. The purpose is to thoroughly analyze your emotional communication preference. The 5 love languages are: Touch, Quality Time, Acts of Service, Words of Affirmation and Receiving Gifts. In this test, you are asked a series of statements that determine how you really understand the expression of love from others. The statements were a bit repetitive, but each one had a different twist, perhaps to curve the mind in grasping a better understanding of the meaning behind the question. Once the test is complete, it will score the 5 languages from highest to lowest. The highest score indicates your primary love language – how you really understand the expressions of love from others. The lower scores indicate those languages you seldom use to communicate love and which probably don’t affect you on an emotional level in your relationships. If you want to test your Love Languages, follow this link (5lovelanguages.com) and take a shot at it. You’ll be interested to see what your results are!